Raith Rovers are delighted to announce their first ever social media partner. The club has teamed up with leading Scottish law and estate agency firm Thorntons which will see joint branding on all Facebook, Twitter and Instagram posts. 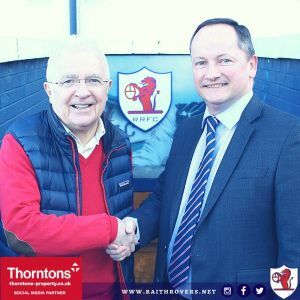 Tom Morgan, Commercial Director of Raith Rovers said: Our Social Media content has dramatically improved over the past few months and will continue to do so thanks to our fantastic social media team. Thorntons recognised this and approached us and we are delighted to have teamed up with them”. Thorntons has 10 offices across Scotland and is one of the largest full service legal and estate agency firms in the country. It was awarded the title of Scotland’s Best Employer in September 2016 & 2017 and is one of the top 100 firms in the UK as listed by The Lawyer.